Bankers often think their industry is feeling the most heat from all this technology and demographic change but what about movie theaters? Sure, they don't have to deal with regulators like you do, but original content and on demand internet streaming from multiple sources are taking a toll on performance. 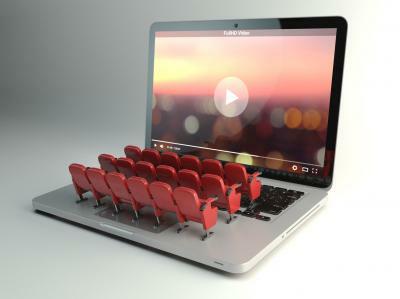 These days, iTunes, Netflix, Amazon and now Facebook have all launched video content streaming and it all seems to be negatively affecting movie theater sales. This year, consumer spending on streaming video is expected to exceed that at movie theaters by over $2B, according to a PwC forecast. As social media seems to be taking over even more these days, we thought it may be a good time to review some of the social media metrics available for community bankers. Some community banks may still believe that social media is only for bigger banks. Yet, over the past couple of years community banks across the country have been making their mark in the social media space. Indeed, several community banks have found viral success and attracted thousands of likes, shares, and follows. They have done this by creating uniquely attention-grabbing content that the internet demands. These community banks might pave the way for others that want to improve their presence on social media too, according to a recent social media report by the ABA. This report found that when bankers were asked whether their bank was ahead or behind its peers in social media use, 40% of respondents said their bank was somewhat or significantly behind other banks in use of social media and 35% said their bank was on par with other banks. While most banks probably don't aspire to internet stardom, they do want to be able to maximize their social media presence. Here, the survey found only 9% of banks were extremely satisfied with the results of their social media efforts, while 24% where somewhat or extremely dissatisfied. A common refrain from banks that were dissatisfied or lukewarm on their social media efforts was that they wanted to be able to better evaluate their ROI in order to gain insights into their social media use. So, what steps can your bank take to evaluate the effectiveness of your social media efforts? The first step is the simplest: begin quantifying your impact by using the free analytics already available through your social media page to track your reach and engagement over time. As obvious as this step may sound to some, 22% of banks on social media haven't even started to measure their impact. By accessing these analytics, banks can receive information on everything from which kinds of posts get the most engagement to audience demographics. These metrics are important in evaluating social media strength, but equally important is the first impression you present to customers and potential customers. An easy and quantifiable way to create a good first impression is by responding quickly to messages and comments left on your page. For instance, Facebook now prominently displays how long public pages take to respond to messages they receive. A quick response rate can be an excellent way to prove to potential customers that your bank is not only social media savvy, but more importantly, customer-friendly. Responding to each comment may sound overwhelming, but the good news is that there are tools available to monitor comments on each social media site, so look for those to help ease this process. Finally, a good rule of thumb for evaluating the effectiveness of social media is to watch for and measure the level of meaningful engagement. While page views and likes are a good indicator of the reach of your social media, shares and comments represent more significant engagement. Your customers may want to share a community event sponsored by your bank while a potential customer may comment on your latest product. Ultimately, the goal is to convert potential customers to open an account or apply for a loan probably. Doing what you do best - connecting with customers - may be easier online than you think with some of these helpful tools and a little extra effort. That is something most of us would "like". Yields landed unchanged amid continued North Korea tension despite strong payroll numbers and an upward revision for Q2 GDP. FDIC data finds that from Q2 2016 to Q2 2017 the percentage of brokered deposits to total deposits for financial institutions with assets <$1B held steady at about 2%. Meanwhile, the percentage of deposits obtained through listing services remained at about 1% of total deposits. US Patent and Trademark Office released 9 more patent applications for BofA in the area of blockchain technology, bringing the total number to over 30. Equifax reports people are once again borrowing against their home value as home prices rise. Home-equity lines of credit and cash out mortgage refinancing have jumped to the highest levels since 2008. The FDIC reports consumer credit card charge-offs increased YoY by 24.5%, marking the 7th consecutive quarter of increases. This could indicate an economic slowdown is in the cards, as consumers increasingly struggle to pay their debt. FIS and Equifax have joined forces to provide another solution to passwords called Only ID. It uses biometric data, user behavior around usage and geolocation to authenticate online banking users. Equifax and FIS research find 53% of customers say they would like to be authenticated for online banking using their fingerprint, retina or facial scanning. PCBB is almost entirely owned by community banks and it does not compete for business. Contact us to do loan participations as you protect your customer relationships. The Credit Default news story has been updated to more accurately reflect that charge-offs increased by 24.5%.